Spier Falls is a painting by Terri Messinger which was uploaded on October 7th, 2010. 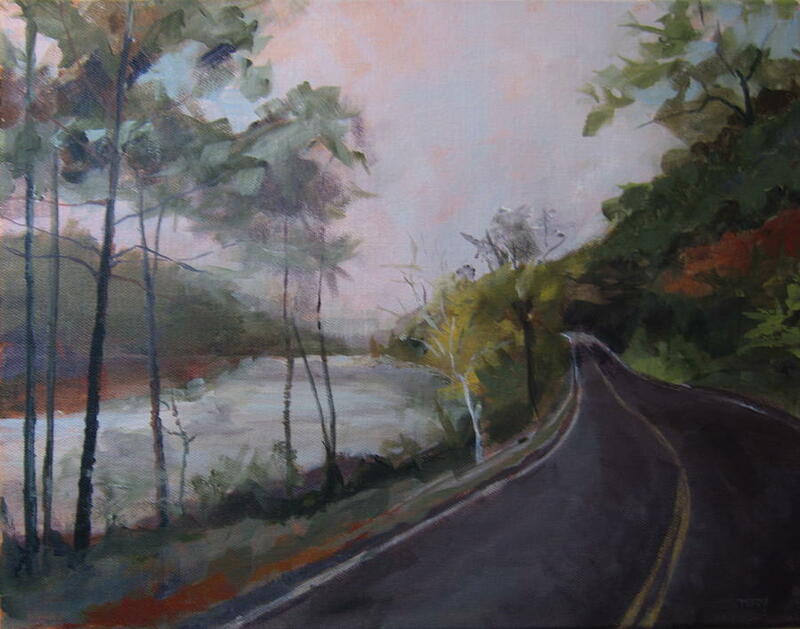 The �In the driver�s seat�� series was done during 2010 at a time when I finally felt more in control of the artistic process and life in general. I like using the roads as a graphic element in my compositions and loved revisiting places I have traveled. There are no comments for Spier Falls. Click here to post the first comment.